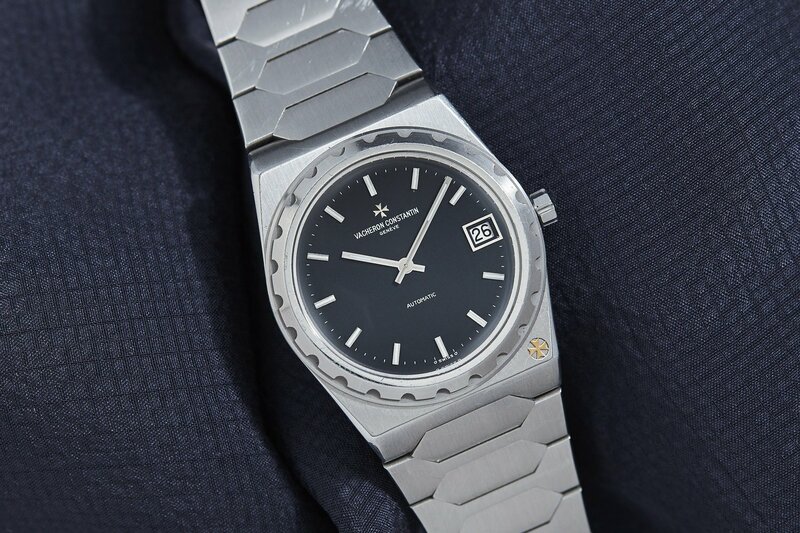 The great Vacheron Constantin crossed some treacherous ground in 1970. The oldest watchmaking house in continuous operation, it had seen trouble before; but nothing like the 1970s. The quartz-crisis spelled impending doom for all of Switzerland. Audemars Piguet had just introduced the Royal Oak and Patek Philippe followed with its Nautilus. The last of the Swiss holy trinity was not to be outdone. With darkness on all sides, this old marque lit one hell of a match. Impecunity, for Vacheron, led straight to ingenuity. In honor of Vacheron’s 222nd anniversary, Jorg Hysek was employed to design their first sports time-only piece. This ‘222’ Hysek designed was a distinct and radical departure for the classical house. The ultra-thin case, harsh angles, integrated hexagonal bracelet, and serrated bezel were all totally new to the brand. In sum, Hysek created a masterpiece that would dictate the house’s design language for decades to come, cutting the path down for its now-famed Overseas to follow. The 222 was decidedly sold in small numbers for high sums. The steel version, which is most representative of the reference’s character, was limited just 500 pieces. To the best of my knowledge they are mostly all still running strong with a very thin, yet bulletproof, JLC-based cal. 920. The 222 was produced in 37 & 34mm, with the larger (shown here) now generally more desirable. This particularly piece comes by way of seller Analog/Shift. Its bracelet is tight as they come, the dial unweathered. A few small scratches adorn either side of the unguarded crown, but nothing too serious. Lugs are straight an unadulterated. There are multiply knocks on the case, but no serious gouges. I have only seen one 222 in the flesh personally and at the time could not appreciate it fully. But if one were now to collect VC, the 222 would be a nice memento to remind oneself that even in the darkest times, there is room to shine.